In a carefully documented book, Jean Molesky Poz writes about contemporary Maya spirituality. Because of persecution, these beliefs and practices have long been hidden by the Maya, but they since the signing of the peace accords they feel open to expressing their beliefs. 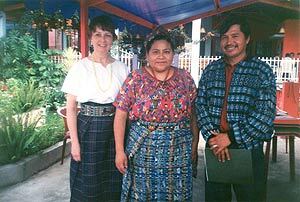 Jean has interviewed many of the Maya Ajq'ijab (keepers of the ritual calendar). The most wonderful aspect of the book are the extensive quotes from the Ajq'ijab themselves and her observations as a participant. You can order this book from the University of Texas Press website. 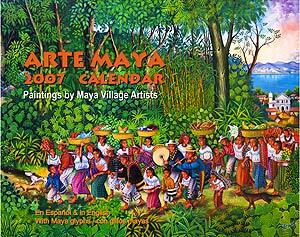 As always the calendar is in English and Spanish and includes photographs and biographies of the twelve Maya artists whose paintings appear in the calendar. For the second year, the Maya Glyphs are included for each day of the year. A brief description of how the Maya calendar works is included at the front of the calendar. Rigoberta Menchu attended the inauguration of the new Community Center in San Pedro. Juan Manual Gonzalez Chavajay is the director. It was a joint project of Juan Manuel and Barbara Rogoff, a UC Santa Cruz psychology professor who founded the library in San Pedro. The Center has two goals: to teach people how to use modern technology, and to support activities that have traditional Maya values. There are classes in computers and how to use the internet, as well as classes in English. 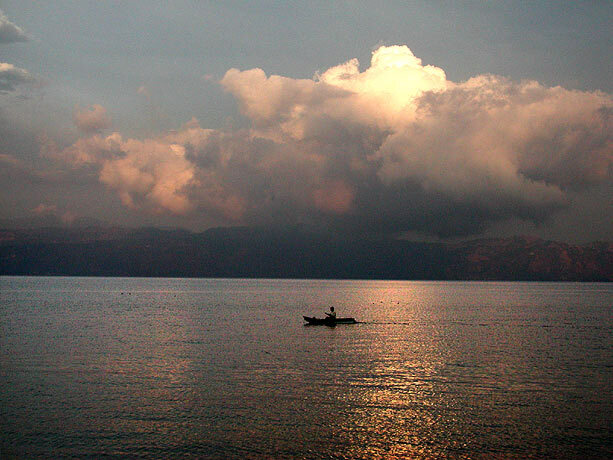 Although the center is for people of all ages, there are special youth programs. You can contact Juan Manuel at: chmajunaoj@yahoo.com. During Virginia Shrader's course of study at Casa Rosario Spanish Spanish school, she decided to sponsor the educational expenses of a local boy who otherwise would have had to drop out of school. When, about three years ago, Mahiya Norton attended the school, the program was expanded. The program currently pays for the education of sixteen needy students. This October four of these students, including the Juanita Coche Quiacain pictured on the left, graduated from high school. The cost of schooling for these youth is about $20 per student per month, or $120 a year. Samuel and Vicente, directors of Casa Rosario, carefully select the most needy youth from San Pedro and nearby communities, and administer the funds. Most of the sponsors are people who have taken Spanish classes at Casa Rosario—people from Australia, Canada and the United States. Unlike most charities, 100% of the money goes to the expenses of the students. Casa Rosario covers all operating costs. The students meet once a month and spending the day working on a volunteer project to improve the community. 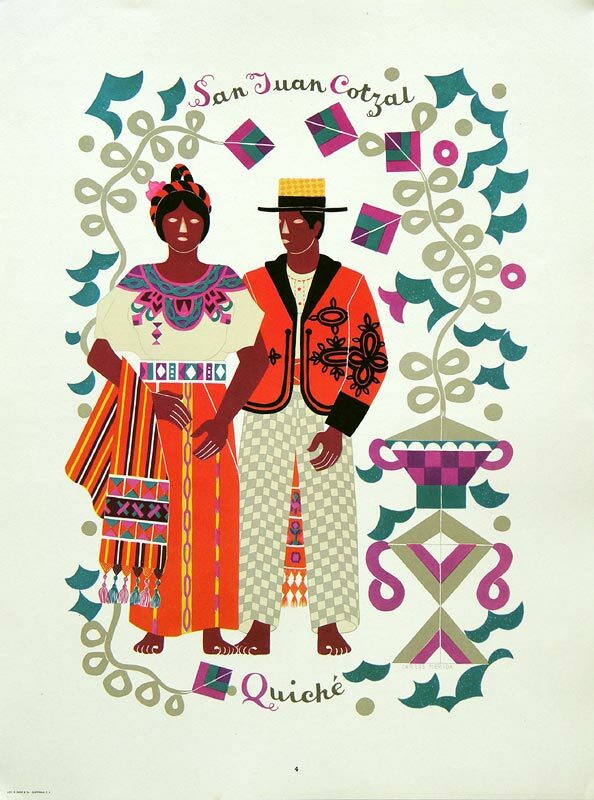 Carlos Merida, a Guatemala born artist of Quiche Maya descent, as a youth traveled to Paris where he was friends with Modigliani and other modernists. Returning to the Americas, he briefly worked with the Mexican muralists, but soon mainly abandoned representational painting in favor of cubism often based on themes from his Maya roots. 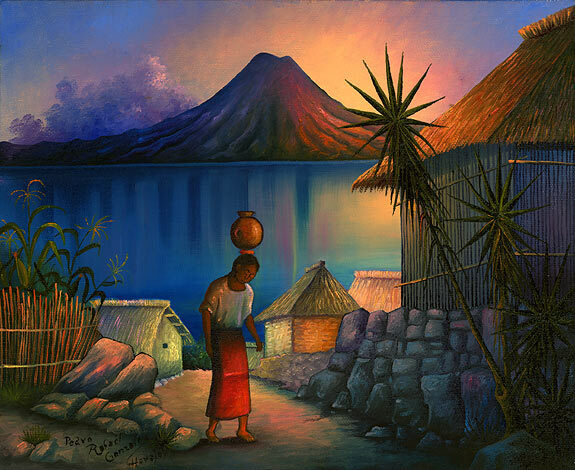 He did however briefly return to representational art to produce several series of prints of Guatemalan and Mexican indigenous dress.